Aloha from your newest HIANG First Sergeants! Master Sgt. Anu Lopez (154th Logistics Readiness Squadron), Master Sgt. Jeremy Weaver (154th Aircraft Maintenance Squadron, 154th Maintenance Operations Flight, HQ 154th Maintenance Group), and Master Sgt. (154th Medical Group) recently completed the First Sergeant Academy at Gunter-Maxwell AFB in Montgomery, Alabama. 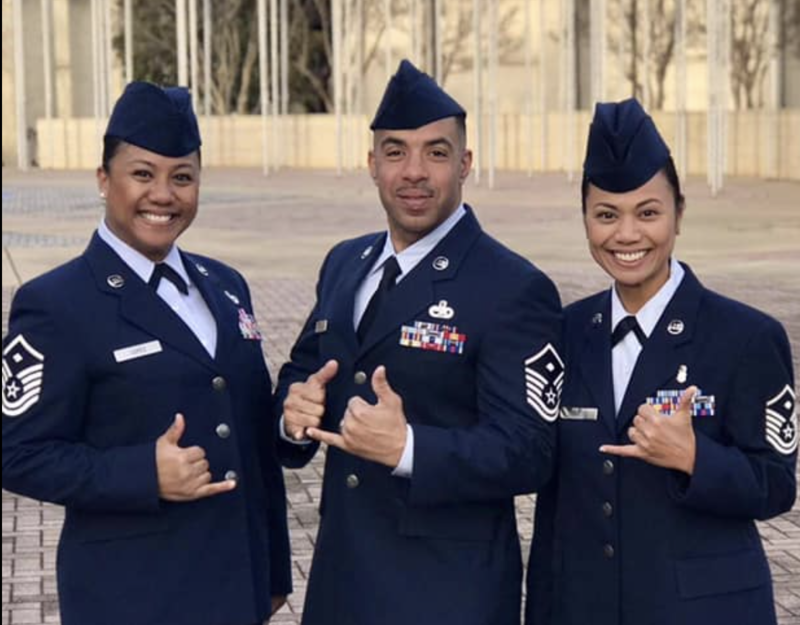 Their class was only the second class of First Sergeants to attend the revamped new curriculum four week in-residence course and they’re eager and equipped to take on their new roles as USAF First Sergeants for the HIANG. They also had the opportunity to meet the Chief Master Sgt. of the Air Force, Chief Kaleth O. Wright. 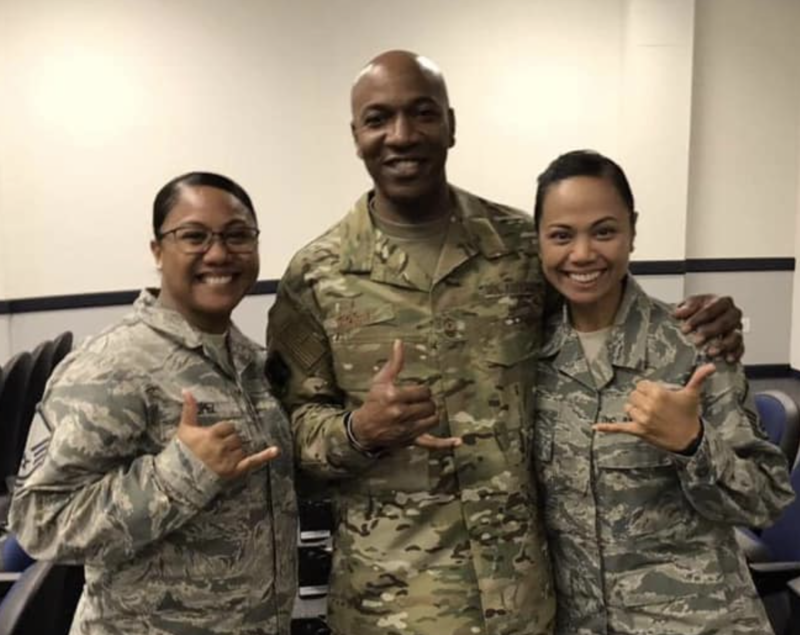 Congratulations and thank you for representing and taking care of our enlisted airmen!